CLICK HERE TO ORDER YOUR FREE SAMPLES.. Available in 6 ft or 8.5 ft widths. Need more than 100 ft? Contact us at 888-283-0704 or customer.service.carpet@gmail.com. Marideck Vinyl Marine Flooring – The Industry Standard for Quality, Beauty and Durability. 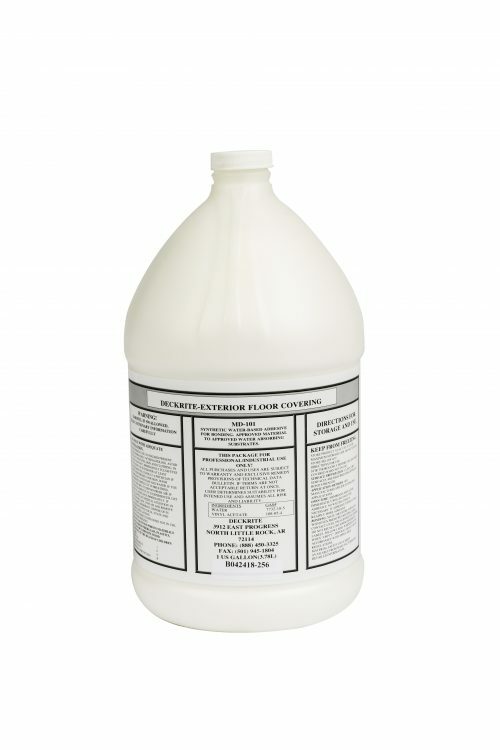 Recommended for new flooring installations or aluminum or fiberglass floors. Great for pontoon boats, aluminum fishing boats, ski boats, bass boats and house boats. Marideck is the industry leader for beautiful marine vinyl flooring. Marideck Vinyl Flooring is an attractive, durable, time-tested boat vinyl floor alternative to marine carpet. It looks great and will stay great looking while protecting your investment against the wear of difficult environmental conditions. Clean up is easy – just spray with a hose and the mess from fishing, hunting, or a boatload of kids is gone in a snap. Great for saltwater or freshwater boating and just about any type of boat. The vinyl marine flooring is embossed with a non-slip texture and comes in a variety of beautiful colors. It is UV stabilized to resist fading and made of high-tech exterior grade polymers for long life. Fishing boats, pontoon boats, aluminum boats, bass boats – there is a Marideck vinyl floor to fit any style of marine surface or boat. Marideck Vinyl Flooring ships directly from the factory. 34 Mil. 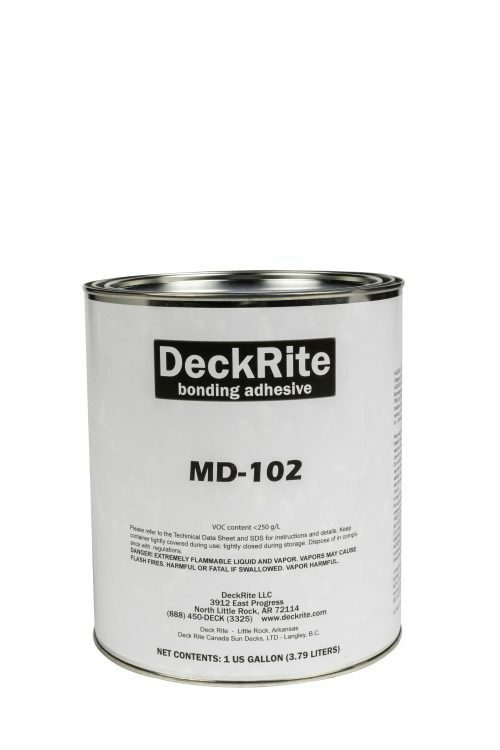 Marideck Marine Flooring is suitable for brand new surfaces and for aluminum or fiberglass flooring. 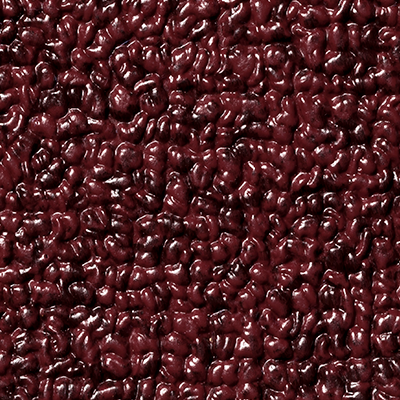 The installation surface must be free from dips and valleys. 34 mil Markdeck is thinner and more flexible than the 80 mil and will show imperfections from older wood floors. For older wood floors, please choose our 80 ml Marideck flooring. 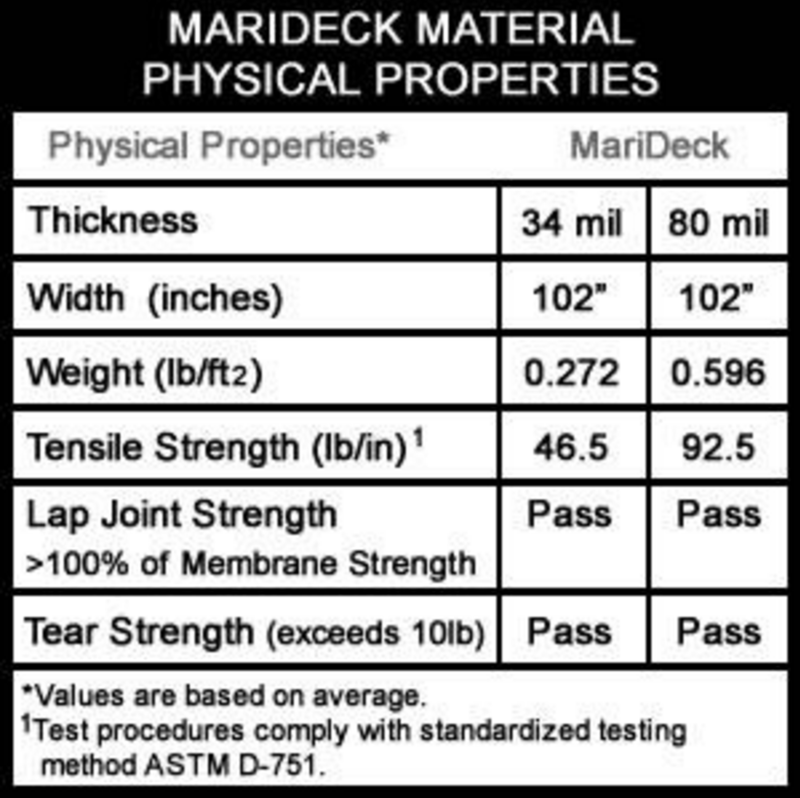 Click here to go to the Marideck Warranty Page (PDF). Click here to go to the Marideck Installation Page for detailed installation instructions (PDF).